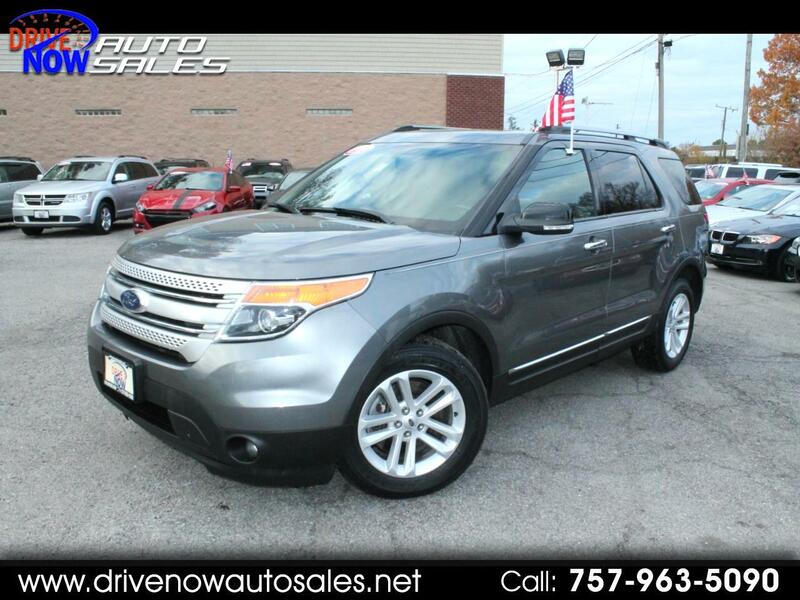 Drive now auto sales is proud to offer this super clean - 2014 FORD EXPLORER LOADED WITH LEATHER SEATS , COLD PKG , NAVIGATION SYSTEM , POWER SUNROOF AND MUCH MORE ! STOP CLICKING AND CALL NOW!! This vehicle has been through an extensive multi point inspection by one of our Certified Technicians. All necessary services have been done for the appropriate mileage interval. We have also reconditioned this vehicle inside and out, so as to provide you with as near a new vehicle as can be expected from a vehicle of this year and mileage. Buy with confidence We also have Nationwide Warranties available and we have a large service department available to our customers. We have a friendly and knowledgeable staff with more than 20 years of experience. MILITARY WELCOME! WE FINANCE EVERYONE (WITH 50% DOWN ) NO CREDIT CHECK FOR BUY HERE PAY HERE FINANCING, CASH WELCOMED TOO!!! We have access to every major Bank and Credit Union and are able to get great rates and payments tailored to your needs. If you have any other questions we have a new service that you may use until midnight 7 days a week. Just call 757-963-5090. IF YOU NEED A RIDE TO THE LOT WE WILL PICK YOU UP se habla espanol WE ACCEPT TRADES!! CHECK OUR OTHER WEBSITE FOR MORE DETAILS @drivenowautosales.net Disclaimer: Listed vehicle may not be accurate, please contact dealership for actual price, financing options & availability. Pricing may not include $495 Dealer Processing Fee, Vehicle Taxes, & License Fee.